Wilfried Rickels (Kiel Institute), Erik van Doorn (Kiel University), Martin Quaas (Kiel University), and Martin Visbeck (GEOMAR) argue that growth can only be sustainable and inclusive if it is not just green but also blue. Marine resources and services are essential for human life and prosperity. The ocean contributes to well-being in ways that are not adequately reflected in aggregated income figures. This holds in particular true if one considers the poverty prevention contribution of healthy coastal and oceanic environments. The ocean provides a significant source of income, food, and nutrition at the local level and therefore an important source of poverty alleviation and livelihood opportunities. Consequently, healthy coastal and oceanic environments are an essential requirement for the G20 Action Plan on Food Security and Sustainable Food Systems. However, growing pressures resulting from overfishing, increasing resource extraction, various sources of pollution, and alterations to coastal zones constitute serious challenges to ocean health and sustainability. To develop and achieve sustainable development strategies for the ocean and coasts, a better understanding of human impacts on ocean health and improved comprehensive methods for measuring and monitoring them are required. International cooperation and effective governance are required to protect the marine environment and promote the sustainable use of marine resources in such a way that due account can be taken of the environmental values of current generations and the needs of future generations. The inclusion of the ocean into the 2030 Agenda for Sustainable Development (as Sustainable Development Goal 14) could be a step forward in achieving efficient governance and policies for oceanic sustainable development. For living up to their expectations, this (and also the other) SDGs have to be integrated in international and national policies, with proper coordination, monitoring, and assessment of sustainable development policies. Given the various geographically different socio-economic challenges associated with the ocean, the coverage provided by the G20 makes them the ideal forum to promote the implementation of SDG 14 and to support (all) coastal states in establishing a forward looking assessment of their ocean space by 2020. 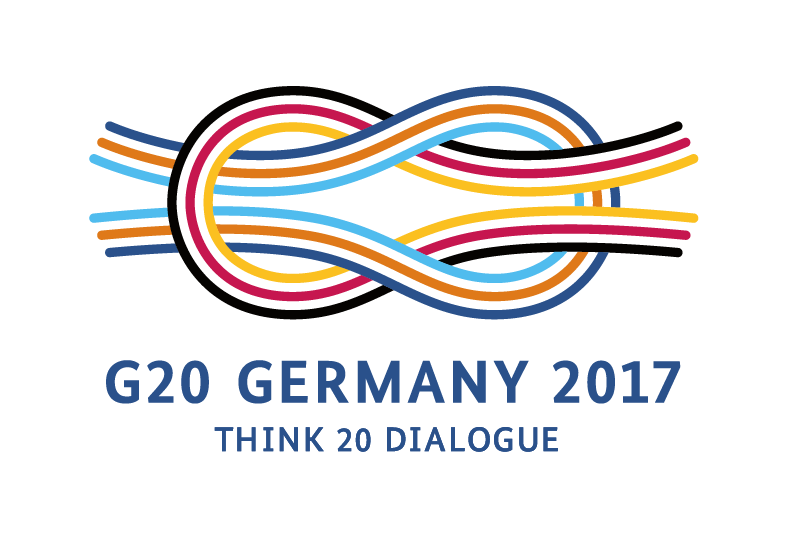 In turn, by contributing to sustaining a healthy marine resource base, the G20 provides a sound foundation for stable societal well-being and food security. The actual success of the agenda will depend on the progress made in the next months and years towards a mechanism for monitoring and financing. An essential element will be the global indicator framework to monitor and assess progress over and against both the overall goals and the specific targets and to guide policy towards sustainable solutions. Unlike previous top-down approaches, the development of the overall agenda and also the indicator framework has been and is still organized to include the opinions and expertise from different experts, partners, and stakeholders. Consequently, the indicators framework has good prospects to achieve a reasonable compromise between the diverging goals of statistical measurability, scientific consistency, and political relevance. Nevertheless, several indicators require improved data sources, surveys, and statistical capabilities to monitor progress. For example, China should enhance quality of its statistical data to provide information for the indicators corresponding to targets 14.1, 14.4, and 14.6 of the SDGs as expressed in its comments to the UN Statistical Commission (Comments on the list of proposals 11August2015 from NBS China.xls). In general, all G20 states should establish appropriate marine observation capacities to fulfil the requirements for regular and comprehensive ocean assessments. The G20 commitment to the Addis Ababa Action Agenda is an important contribution for the integration of the SDGs into monitoring and action plans. Further mechanism to reduce capital costs and reduce investment risk are in combination with public-private partnerships essential elements for achieving progress over and against target 1 of SDG 14: “By 2025, prevent and significantly reduce marine pollution of all kinds, in particular from land-based activities, including marine debris and nutrient pollution.“ According to estimates of the Ocean Conservancy, existing funding of multilateral lenders and donors for sanitation and water-related projects need to be extended to include waste collection and to result in waste-technology partnerships across the G20 states. The G20 should promote solid project-finance structures and risk management mechanism to stipulate private investment capital inflows into advanced waste management technologies. A healthy ocean is essential for achieving sustainable food provision (SDG 2), in particular by means of wild capture fisheries and sustainable aquaculture. However, due to the still on-going overfishing at a global scale, fish stocks are below efficient levels (maximum economic yield), implying that the ocean cannot provide its full potential contribution to this goal. Thus, measures to reduce fishing to a sustainable level are required. An immediately required step to be pursued by the G20 in this direction is to abandon subsidies for fisheries of any kind, most importantly to eliminate subsidies and tax exemptions on fuel (SDG 14.6). Wherever possible, limits on total allowable catches should be set to levels that are sufficiently restrictive to allow the stocks to recover to their full productive capacity. An appropriate target for fisheries is the maximum economic yield, since it achieves sustainability in both, ecological and economic terms. Such advances from promoting various aspects SDG 14 need to be initiated, developed and implemented at the national and regional level to become effective measures for achieving ocean sustainability. The global connectivity of the ocean requires more international coordination for regional approaches to be effective when compared to addressing land-based challenges in the area of environmental protection and securing of eco-system services. Hence, we argue strongly for a two-pronged approach: Advancing the international framework on sustainable development for ocean and coasts within which regional implementation agreements are embedded and encouraged. A guiding framework for the development and implementation of specific (SDG) targets can be modelled on the Marine Spatial Planning (MSP) approach but needs to be extended to development scenarios at the global level and with a focus on the future. Such a global process that understands the ocean as a finite resource with possibly conflicting future uses by different sectors, nations and regions could be termed Future Ocean Spatial Planning (FOSP). According to the UNESCO’s Intergovernmental Oceanographic Commission, MSP seems suitable for achieving scientifically-based sustainable development by meeting social, economic, and ecological objectives for many local and possibly regional issues. MSP can be realized in an ecosystem- and area-based fashion, while allowing for integrated, adaptive, and participatory strategies. Building on the successes of the MSP methodology, a G20 FOSP process would focus on the opportunities and risks of future ocean use and development. Such a framework would assemble all current and future requirements for the ocean and coasts and facilitate the identification both of current and future crisis hotspots and of new opportunities for development. It would encourage a global perspective on the need, size, and number of protected marine areas and current and new ocean use levels and pinpoint areas in need of special regulation. FOSP will enable states to express and negotiate their ambitions and concerns in the context of regional and global developments. Furthermore, linking FOSP to MSP and Integrated Coastal Management (ICM) would facilitate the incorporation of the transitional nature and interdependencies of coastal and marine systems on the national and regional scale. FOSP would inform MSP and ICM by providing longer-term perspectives and common goals, thus providing useful policy arenas to identify, frame, and resolve current and future spatial conflicts and conflicting interests in the pursuit of transparent and effective ocean governance and coastal resilience. Ocean Conservancy (2015): Stemming the Tide.